WASHINGTON, DC – May 12, 2011 – (RealEstateRama) — Home sales are expected to stay on an uptrend through 2012, although the performance will be uneven with mortgage constraints weighing on the market, according to experts at a residential real estate forum today at the Realtors® Midyear Legislative Meetings & Trade Expo here. Mortgage interest rates should rise gradually to 5.5 percent by the end of the year and average 6.0 percent in 2012 – still relatively affordable by historic standards. Yun said that if credit requirements returned to normal, safe standards, home sales would be 15 to 20 percent higher. He added that some parents are buying homes with cash for their children, and offering them loans which provide better returns than bank accounts or CDs. Yun projects the Gross Domestic Product to grow 2.5 percent this year and 2.7 percent in 2012, adding 1.5 million to 2 million jobs yearly over the next two years. The unemployment rate should decline to 8.8 percent by the end of 2011 and average 8.6 percent next year, returning to a normal level of 6 percent around 2015. Housing starts are forecast to rise but remain below long-term trends, reaching 603,000 in 2011, up from 595,000 last year, and continue growing to 908,000 in 2012. 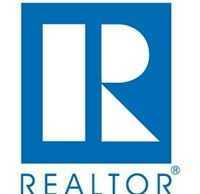 New-home sales are seen at a record low 320,000 this year, rising to 487,000 in 2012. “A recovery in new homes will be slow because of the extra price discount in the existing home market,” Yun noted. In March, the typical new single-family home cost $53,300 more than an existing home. Inflation appears to be relatively modest for now, with the Consumer Price Index rising 2.9 percent this year. “We’ll be closely watching the impact of fuel costs on consumer spending and inflation – that would slow economic growth, job creation and home sales,” Yun said. Yun expects the median existing-home price to remain near $170,000 over the next two years, which would mark four consecutive years of essentially no meaningful price change. Frank Nothaft, chief economist at Freddie Mac, holds similar views on the outlook. “Economic activity will accelerate this year – there will be no double dip in the economy,” he said. Nothaft is more optimistic on job growth, expecting 2.0 million to 2.5 million jobs created in 2011 with unemployment dropping to 8.4 percent by the end of the year. Nothaft expects the 30-year fixed-rate mortgage to trend up to 5.25 percent by the end of the year, and for home sales to rise 5 percent. “National home price indices are close to a bottom and prices are likely to bottom sometime this year,” he said. Refinancing activity in 2011 will be only half of what it was last year. “As a result, banks may become more willing to lend to home buyers,” Nothaft said. Information about NAR is available at www.realtor.org. This and other news releases are posted in the News Media section. Statistical data, tables and surveys also may be found by clicking on Research.